One of the best ways to explore a new city no matter where you are in the world is through a food tour. For this very reason I often chose places to visit on how tasty I have heard their food to be. 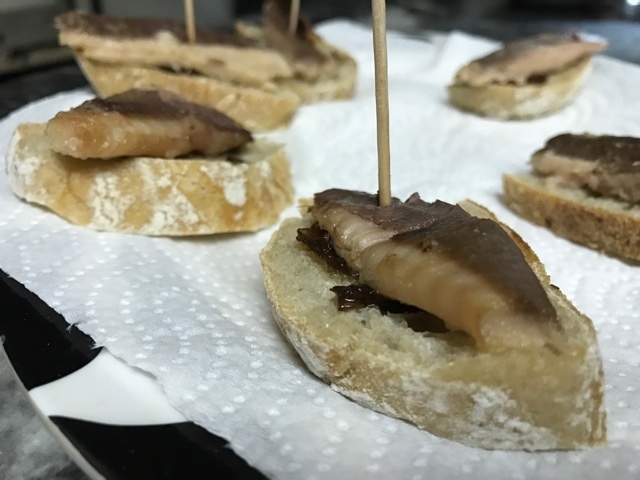 Food tours help you learn the flavour of a country, allow you to meet locals and show you some great places you might not have found on your own. Food was one of the main reasons I was interested in visiting Lisbon, Portugal. Most countries in Europe just in general do food well and people can never stop talking about Portuguese food. It also helps that nearby Spain is a culinary delight so surely the Portuguese know how to do food right as well. 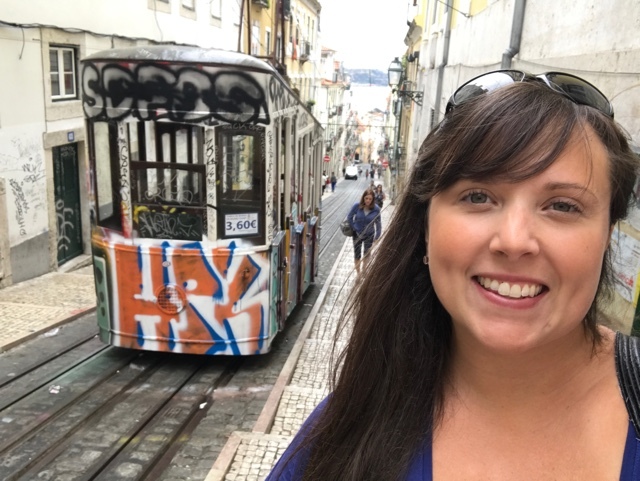 Through my extensive research of eating all of the things in Lisbon here is my list of the top 5 must try foods in Lisbon, Portugal. You can’t visit Portugal with out eating one or 100 pastel de natas. These delicious egg tart pastries, also known as Pastel de Belem or Portuguese custard tarts can be found everywhere. First created in 1837 you can still buy them today from the original Pastéis de Belém bakery which is part of an old sugar factory. If you don’t have a chance to visit there though I suggest buying them wherever you see them. While in Lisbon I stayed in a nice quiet neighborhood and the local corner bakery had many delicious pastel de nata of which I ate many. Without a doubt this is the best Lisbon food… scratch that best Portuguese food you will find. Port aka Port wine of course has origins in Portugal, hence the name. A strong fortified sweet wine meant for sipping as dessert it comes in several varieties and ages. 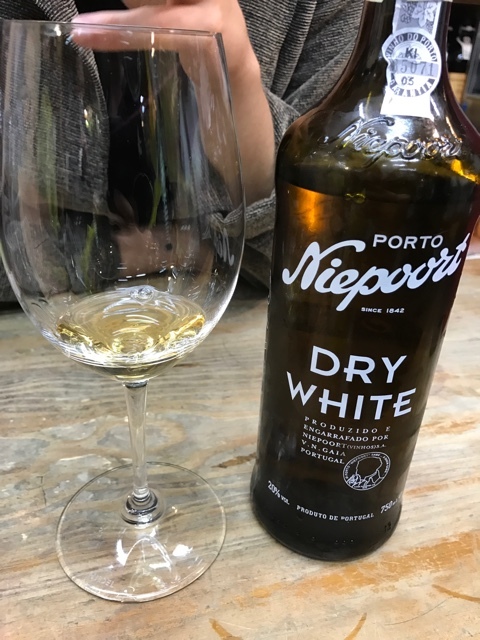 If you can make it to Porto that is probably the best place to have it as it typically comes from the Douro Valley. However there are many places in Lisbon that can serve you up a delicious drink of Port. Go for a 100 year tasting flight at Chafariz do Vinho wine bar where you are served Port that is aged 10, 20, 30 and 40 years. 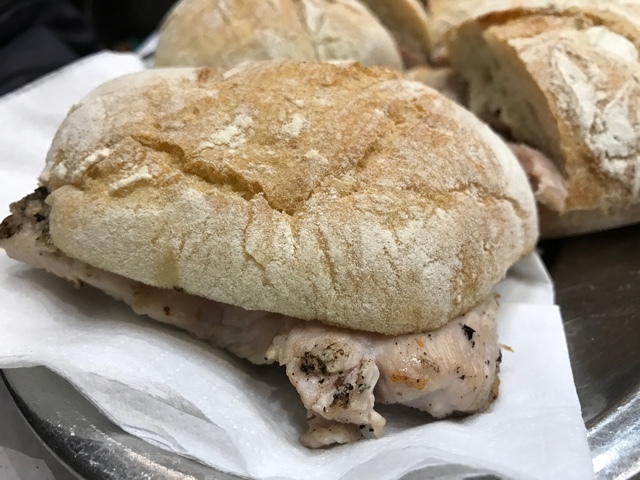 The Bifana sandwich is a pork delight. Marinated boneless pork cutlets served on a warm roll with mustard. It can also be found served with piri-piri or grilled onions depending on where you get it. A simple and delicious treat that can be found in many small restaurants and the kind of cafes locals hang out in. Ze Dos Cornos is a great place in Lisbon to grab one while rubbing elbows with pleasant old Portuguese men that can often be found hanging out in the shop. Canned or fresh the Portuguese are obsessed with sardines. There are stores that sell just sardines only, nothing else. They even have a sardines festival celebrated as part of St. Anthony’s day every year on June 13th. You can find plenty of canned sardines in the city flavoured a bunch of different ways. Or you can enjoy them fresh, grilled, on a bun or numerous other ways. Sardines are also the perfect souvenir to bring a taste of the city back home. Another popular seafood in the city is cod. 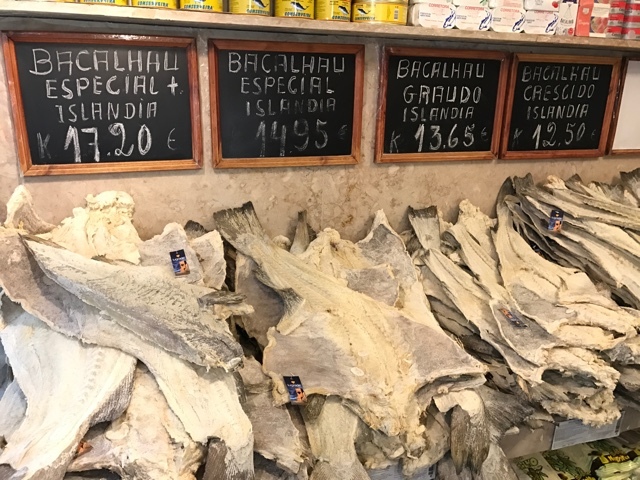 Surprisingly though with all of the ocean coastline in the country it isn’t fresh cod but rather salt cod that is a favourite in Lisbon. Known locally as Bacalhau it actually can’t even be fished in local waters and comes from the Atlantic ocean around Newfoundland. Originally Bacalhau was brought back to the country by 14th century explorers and these days it is loved so much that it is said they have a recipe for it for every day of the year. The Time Out Market is a popular food court and market in Lisbon run by journalists from the Time Out magazine and website. The Time Out Market Lisbon brings together the best food in the city under one roof. Some of the city’s best bars and restaurants have stalls here which helps you really dive into the culture of the city through its food. 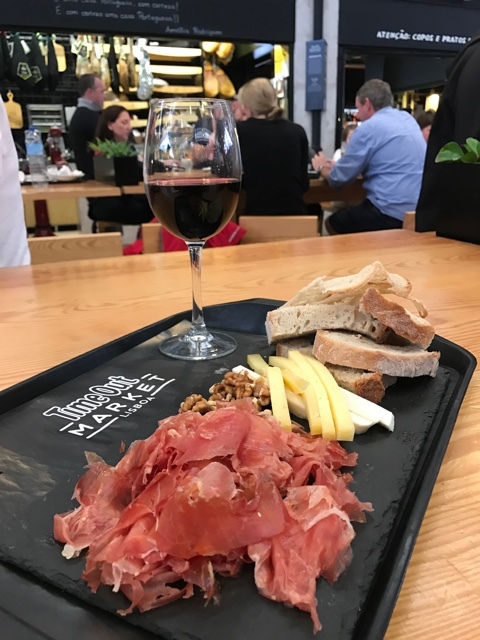 Here not only will you find pastel de nata, sardines, port and bifana sandwiches but also the best cured meats and cheeses, desserts, wines, pizza, fresh seafood and so much more. As you explore Lisbon with your tastebuds you can venture around on your own or even better you could take a tour with locals. Withlocals is a travel marketplace that literally connects people with locals through food and experiences. Wondering where to eat in Lisbon? With Withlocals you have a local tour guide taking you around on your own customizable private Lisbon food tour. If you’d rather skip the sardines, not a problem, they can do that, it is all up to you. Check them out for an authentic local experience to get away from the tourist crowds and enjoy the best Lisbon has to offer. 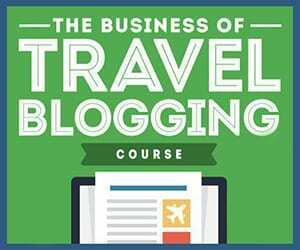 Have you ever been to Lisbon or Portugal? What were some of your favorite foods? Tell me what I should add to this list! All yummy things to try, I have sipped Port Wine in Morocco also but with their own specialty. And of course with their popular Moroccan Tajine. Oh I love this place Cailin. The pastel de nata is a must try delicacy. Yes, you must came back to Portugal and see what this beautiful country can offer you! I will have to visit again and eat more!! Oh, I’d love to take a bite of those delicious looking egg tarts. How much is a piece? They are so delicious! It depends on where you get them but pretty cheap! Like 1 Euro?